Onigiri is made with plain steamed rice sometimes lightly salted, and then formed into triangular, oval or round shapes and often wrapped in nori (seaweed). Traditionally, onigiri is filled with pickled ume (umeboshi), salted salmon, katsuobushi, kombu, tarako, or any other salty or sour ingredient as a natural preservative. Onigiri in Japan is very popular and most convenience stores stock them with various fillings and flavors. They are great as a quick snack! The Japanese does not eat their onigiri crispy as I am making them. I think the Korean took the onigiris and then instead of eating them as is they pan fried them on low heat to form a crunchy top and bottom and that's how I really like them. 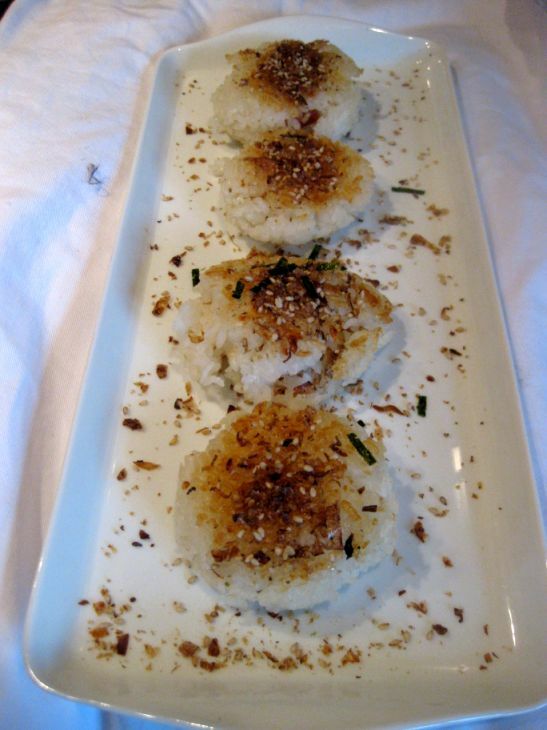 I sprinkled a bunch of Katso Fumi Fuikake to give it more flavors to the Onigiri. 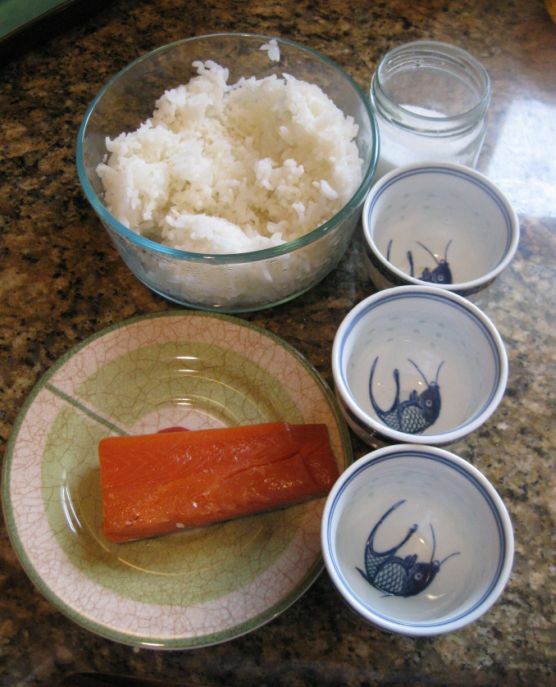 I am using left over steamed rice, a piece of smoke salmon but you can use anything you like. 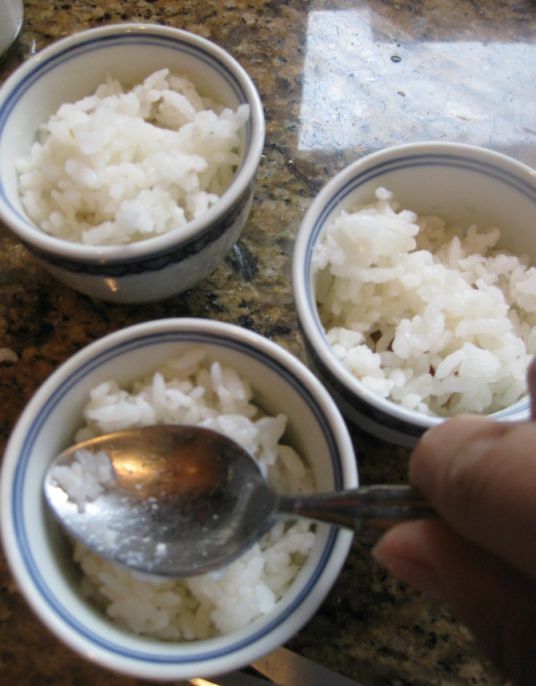 I sprinkle a bit of salt in the rice and I am using tea cups as mold. Insert a piece of smoke salmon in the middle. 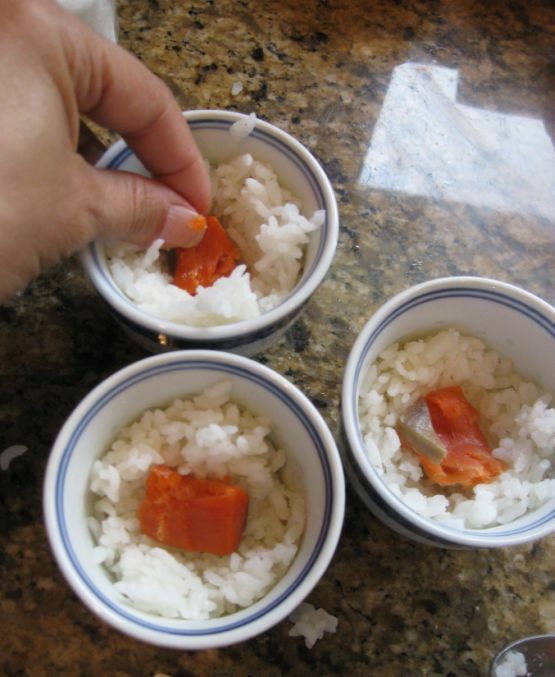 Spoon some more rice on top to fill the salmon. 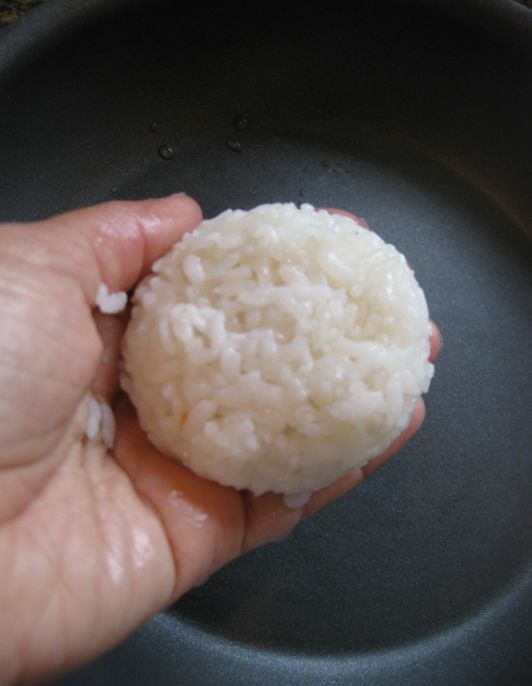 Press the rice down with a spoon or use your hands. 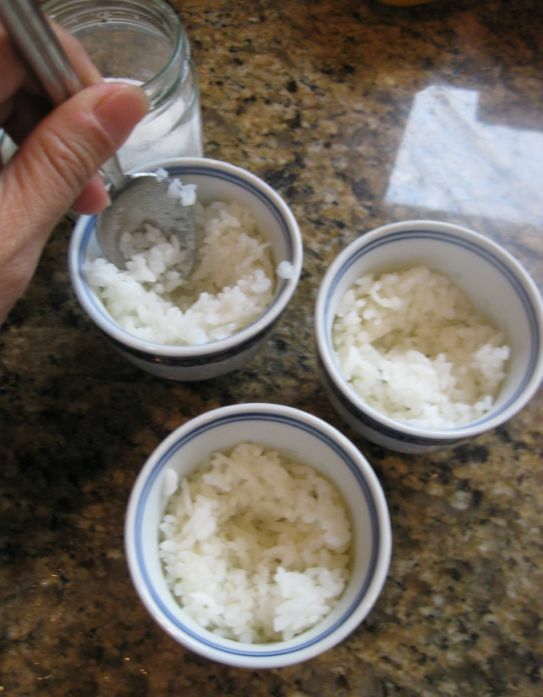 wet your hand and un-mold the rice from the tea cup. 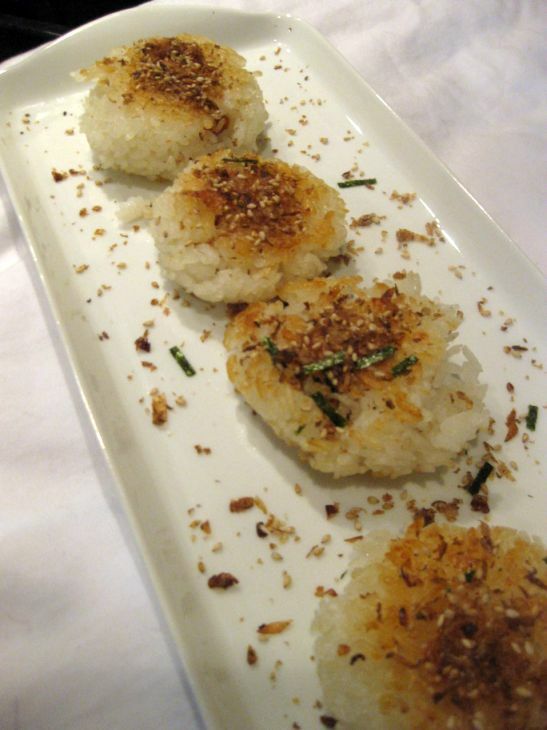 Put the rice balls on a lightly pan on low heat. 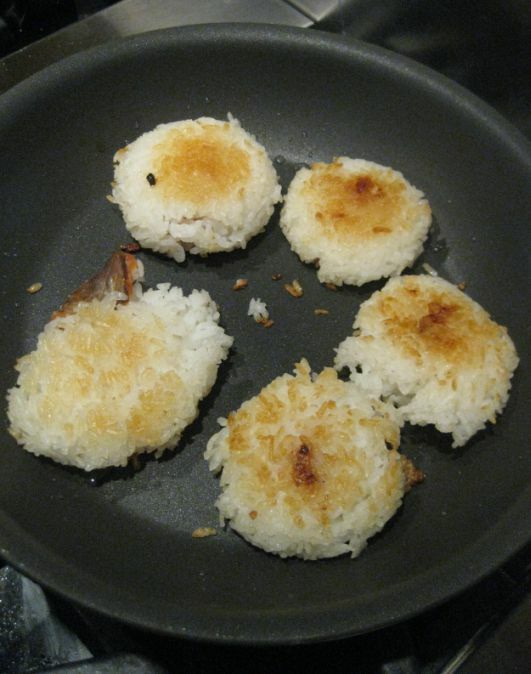 Leave the rice ball on the pan for at least 30 to 40 minutes until both side are nicely browned.